The Houthi militia are using civilians as human shields in key Yemeni cities as they continue to lose territoy in the conflict. Last week, Amnesty accused the Iran-backed militants of taking over a hospital in Hodeidah and posting snipers on the roof. But the Houthis are also deliberatley placing civilians in the firing line in other parts of the port, in Sanaa and Dhamar, Arab Coalition spokesperson Col. Turki Al-Maliki said in Riyadh. 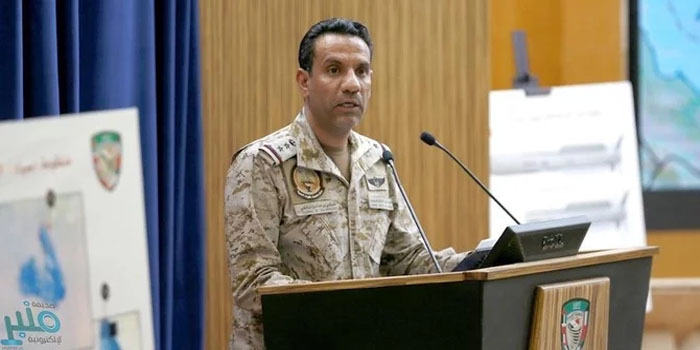 In an update of recent operations to support pro-government Yemeni forces, Col. Al-Maliki said the coalition targeted a coastal militia radar on the island of Al-Bawadi in the Red Sea. The coalition called on organizations to do their duty to stop the Houthi militia from smuggling Yemen’s historical monuments and artefacts out of the country. Col. Al-Maliki the Houthi militia are smuggling and selling drugs for financial support, adding that they use humanitarian aid boxes to hide drugs inside in order to transport them. The coalition said the Houthi militia have launched 206 ballistic missiles toward Saudi Arabia so far from within Yemeni territory.